The people who bring you Against the Odds Magazine and Turning Point Simulations have launched another idea whose time has come, a new company, Last Stand Games, to explore a new world of simulations...classy high end games, boxed, with mounted boards and large thick counters... products that challenge the mind with both their research, and replay, value. Sometimes simple, sometimes complex, these limited edition games are crafted for today's wargame enthusiasts. 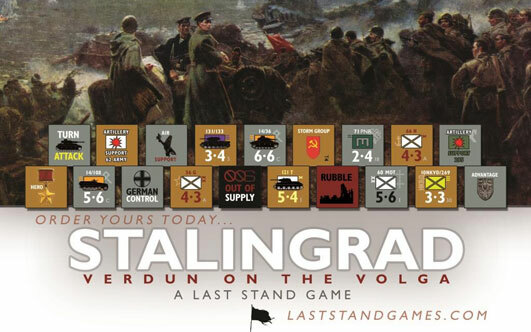 Stalingrad: Verdun on the Volga (S:VoV) by designer Mike Rinella, is our first release. It's a new regimental-scale game of the two-month struggle for control of the 30-kilometer long industrial town that sat on the West Bank of the Volga River. S:VoV is divided into several two-player scenarios, based on the historical German offensives in September and October. You'll find S:VoV enables you to refight one of the most important battles of World War II in far less time using Mike's favorite area impulse game system. Read more about this game on Consimworld. nda | Hot News | Find us on Facebook Beyond Leipzig: Conflict of Nations takes John Prados' popular game design from Beyond Waterloo and applies the system to the greatest of all the Napoleonic campaigns in 1813. 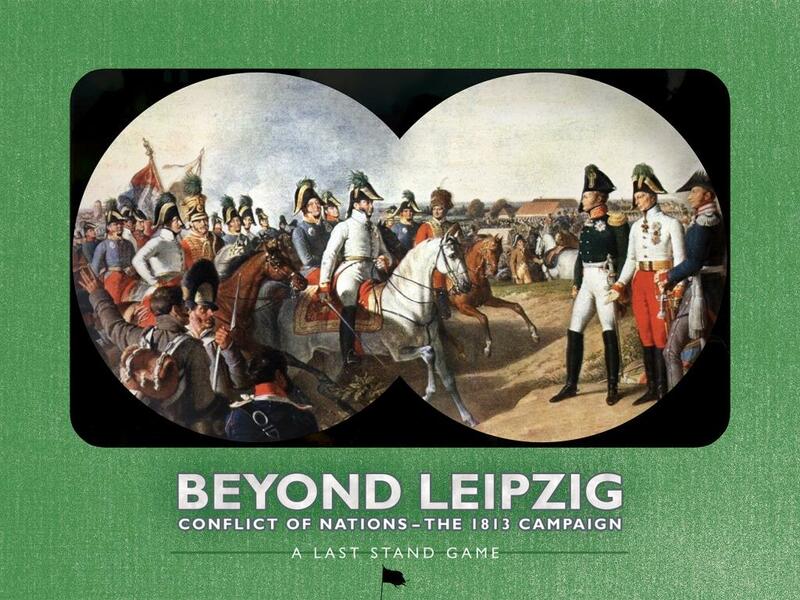 Beyond Leipzig is a two-or multi player strategic level simulation of the Napoleonic Campaign of 1813. Two players take the sides of France or its opponents, a coalition of Allies. Where most games on this period focus in on the famous Battle of Leipzig, Beyond Leipzig takes in the full scope of the military, economic, and diplomatic possibilities inherent in the 1813 situation. The Allies must re-defeat Napoleon, still reeling from his disastrous failed invasion of Russia. The French must avoid that outcome and secure their empire in central Europe. Read more about this game on Consimworld. We look forward to hearing from you with your questions and interests. Check out our forum on ConsimWorld for chat. Join Us There.